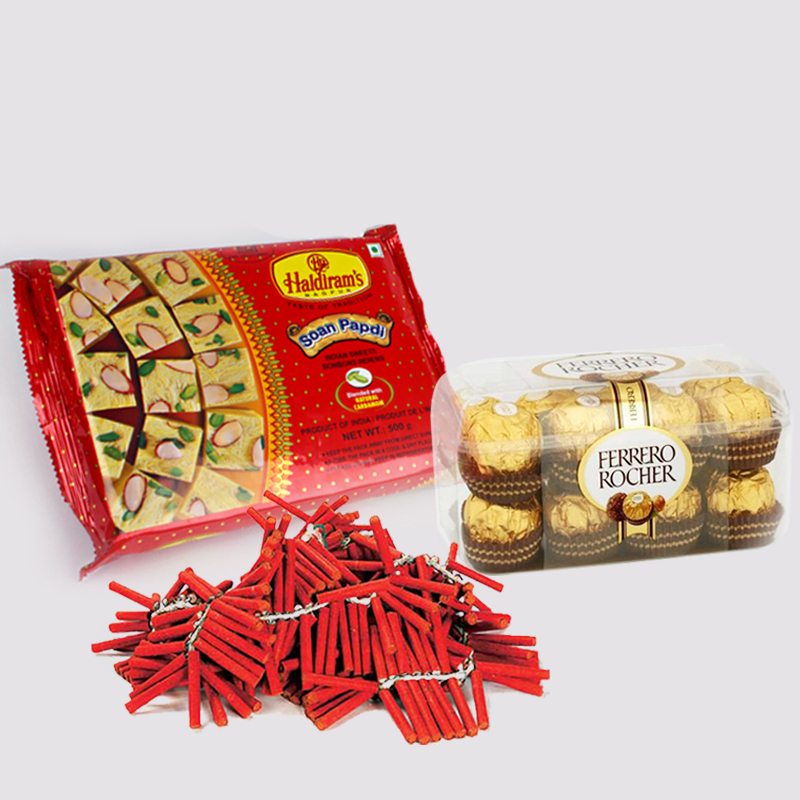 Product Consist : Box of Soan papdi (Weight : 500 Gms) with 16 Pcs Ferrero Rocher chocolate Box along with Red Fire crackers (Worth Rs. 200/-). 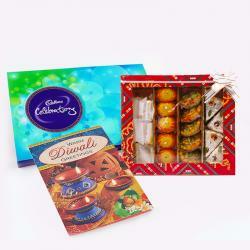 Make your diwali plans special for your family and friends. 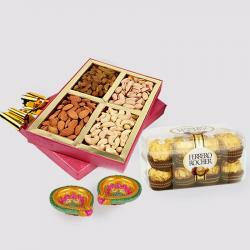 Gift the Red Crackers and Soan Papdi and Rocher Chocolates fill her life with sweetness. 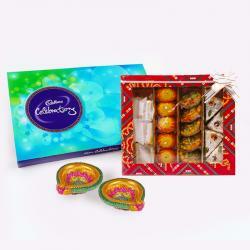 On the special eve of diwali; gift this amazing surprise to your beloved. This combo represents the love and the care you have in your heart for your loved ones. 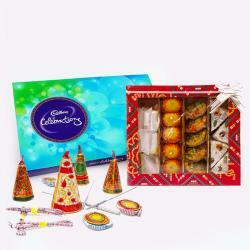 Product Includes : Box of Soan Papdi (Weight : 500 Gms), 16 Pcs Ferrero Rocher chocolate Box and Red Fire Crackers (Worth Rs. 200/-).